Therapy, in simplistic terms, may be seen as a process that provides you with the space to explore whatever it is that you are struggling to make sense of, at any given moment. Therapy may be described as a container that holds the client and their hardships or as a safety net. If you are considering entering into the therapeutic process, I invite you to peruse this site to gain some more insight into the process and to find out more about Counselling Psychologist, Shenila Maharaj. INDIVIDUAL THERAPY / ADULT COUNSELLING offers you a journey of re-discovery to establish your strengths to help you deal with whatever issue you are dealing with that may be making you feel dissatisfied, unhappy or experience other distressing feelings. 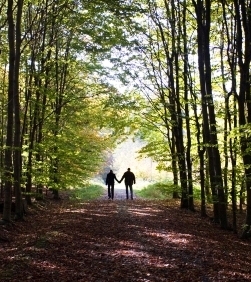 COUPLE COUNSELLING / MARITAL THERAPY focuses on re-building or re-kindling your relationship. Effort is made to help you and your partner understand each other better. PRE-MARITAL COUNSELING explores the possible issues that may arise in your marriage and you are guided through dealing with these issues in a contained space. ONLINE COUNSELLING may be your method of choice for counselling. If this is the case I offer telephonic counselling, email correspondence and counselling via Skype.